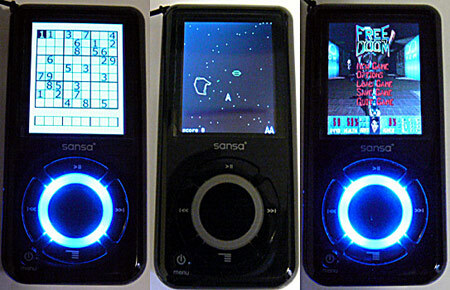 This article reviews the FREE Rockbox software and explains how it hugely improves video MP3 players like: Apple iPod, iAudio X5, Sandisk Sansa and Toshiba Gigabeat with better audio playback quality, games, applications, plays more codecs (OGG, FLAC etc), themes, gapless playback and optional spoken interface. These extra features make it really useful for travellers and people who have to commute long distances on public transport. For example below are 3 themes (left to right): “Acotil blues”, “KratoSky2” and “Plaintext”. As you can see there’s a huge choice of colours and you can decide whether you want to show more technical details like in “Plaintext”, album art like in “KratoSky2” or a nice background image like “Acotil blues”. 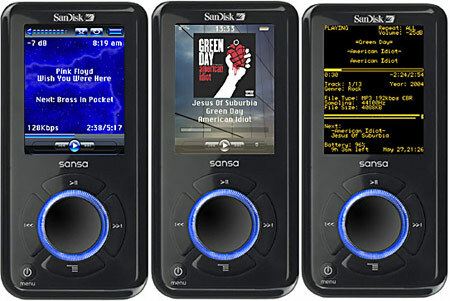 Rockbox is an open source firmware replacement for a growing number of digital audio players. It has been in development since 2001 and receives new features, tweaks and fixes every day to provide you with the best possible music listening experience. Rockbox aims to be considerably more functional and efficient than your device’s stock firmware while remaining easy to use and customizable. You can configure almost anything about Rockbox you could want, pertaining to functionality. It is written by users, for users. I didn’t even know something like that was an option. 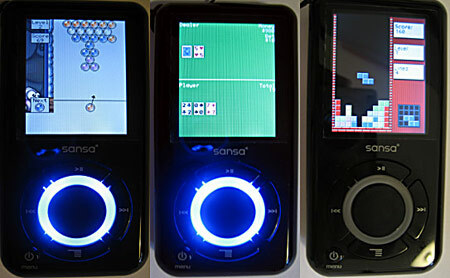 It could definitely put a fun twist on the classic MP3 players. i have a question, can i by any chance use coby mp3 video mp3 player on rockbox as well? do you know where i can download the video converter for a coby video player mp605. i went to the the website but the product wasn’t even listed. please if you know help! Ashley, what kind of videos can the Coby Video player play? I reccomend the program Avidemux for all video conversions (It’s made for Linux, I don’t know what other OS’s are supported though).